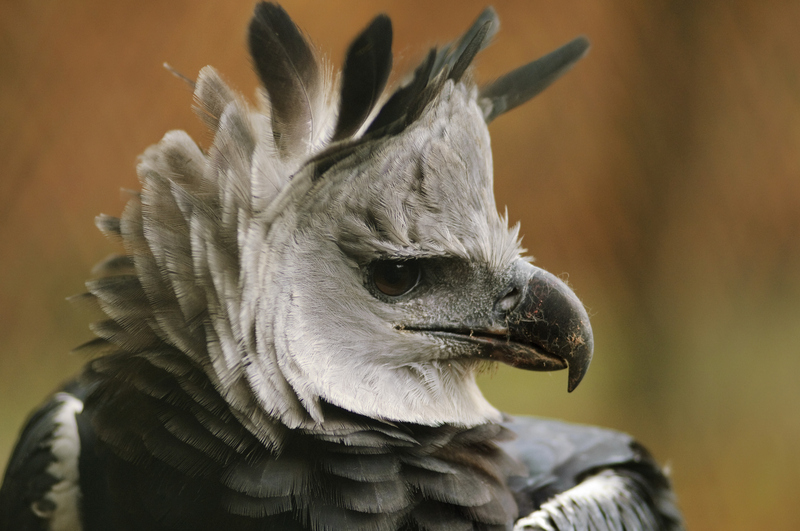 The largest and most powerful raptor in the Americas should need no introduction, but the harpy eagle doesn't get as much press as some of its more famous cousins. With a body length over 3.5 feet, and a wingspan over 7, it is among the largest extant eagle species in the world. With no natural predators, this eagle is able to eat anything it likes—mostly sloths and monkeys. It also harbors occasionally adventurous tastes, with known prey including domestic livestock, capybara, deer, and large snakes. When dealing with large meals that are too heavy to fly to their nest, the harpy eagle will cut their prey into smaller pieces or bring it to a stump to dine.